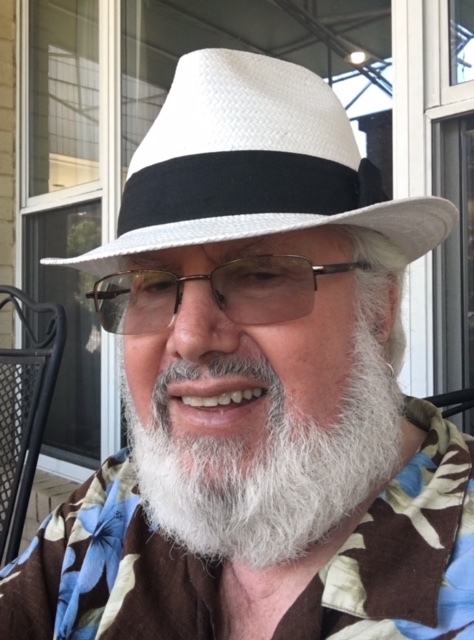 In 2018 at the Weinberg House where Arnold lives, other musicians gradually ended up in this affordable living facility. after weathering various health issues they began bonding with each other socially then playing duets in their small apartments. Joined by a few other musicians who began as restaurant venturing buddies, a group formed and a trio decided to play in the great dining room for a hour before the football game. The following video clips are samples of what ensued. Our highly critical audience was very enthusiastic by the way. A nice surprise. 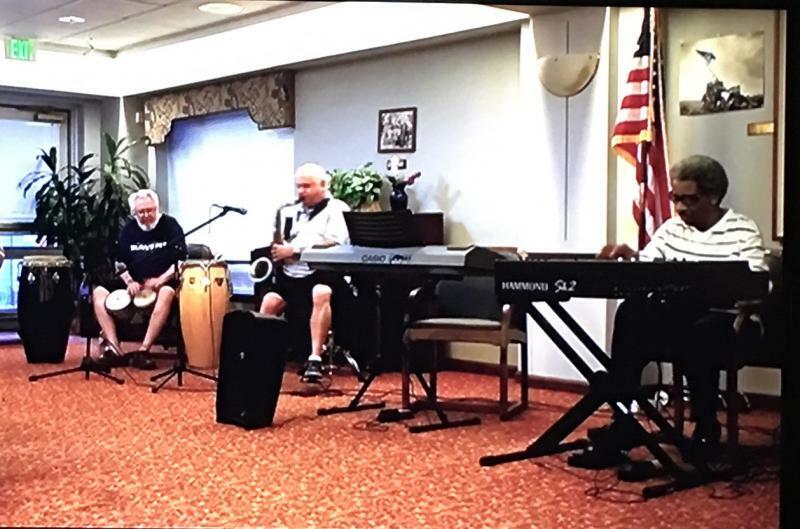 The very first jam session for the residents of the Weinberg House, an independent living facility for senior citizens in Pikesville MD. On keyboards was the world renown Charles Covington. 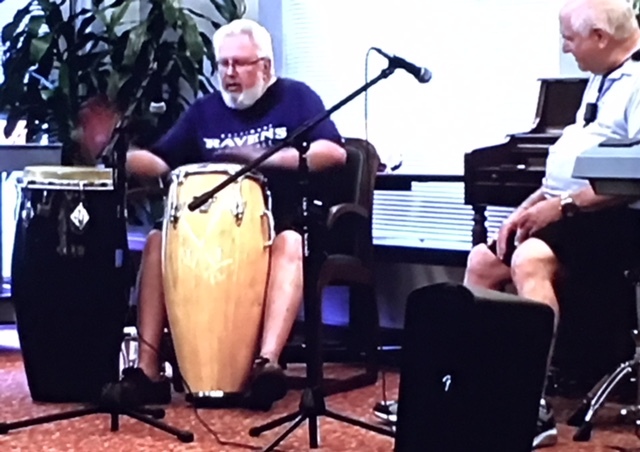 Earl Rosenberg was on sax and Arnie Clapman played congas. Charles Covington's rendition of this timeless standard featuring an impromptu conga solo by Arnie Clapman. An old bebop standard featuring Earl Rosenberg on Alto Sax. This 40's oldie features Charles Covington on keyboards, Earl Rosenberg on sax and Arnie Clapman on bongos. Charles Covington on keyboards plays with this old swing tune at times infusing it with Thelonius Monk flavored riffs. Earl Rosenberg's sultry sax adds a bluesy touch to this haunting oldie. I apologize for the topsy-turvy camera movements. Hope you don't get motion sickness. Someday I'll repost better quality videos of all these tunes. This up tempo oldie was the final selection that we played for the Weinberg House residents who enjoyed this first of what we hope will be many in-house musical events in the future.